What do I do if my home has water damage? Sustaining water damage can be damaging to your home and your family. Please follow the tips below and call us immediately. First, be aware of electrical hazards, and of any wet areas that could be slippery and cause you or your family members to fall. Don’t forget that wet items can be very heavy, particularly as cloth and similar materials soak up water. Get rid of as much excess water as you can by mopping and blotting carpets, floors, furniture, and other items that may have come in contact with water. If you can, place something between the legs of your furniture and the floor to raise the height and make it easier to move away from harmful water. Remove rugs, art objects, and loose items which may be on the floors to keep them safe from further water damage. Do not leave wet items where they are, particularly fabrics, leather, or furs. Do not leave books or other paper items where they are. Remove them from water sources and dry them as best you can. Do not use your vacuum cleaner to remove water. Do not turn on electronics, especially if it is wet in the areas around them, and stay out of rooms with warped or sagging ceilings. 1) Block Water From Entry Points: Roof Shingles that are missing need to be replaced. Gutter and downspouts that are too narrow, aren’t cleaned periodically, or aren’t pitched properly may permit water to come too close to house, seep in, and damage foundation. Windows and doors with broken glazing will likely allow in water and should be repaired or replaced. Foundations, basements floors, and walls with cracks are additional sources of water entering from the ground. 2) Put in a Second Line of Defense: Sump pumps collect water and send it away. Pumps need to be cleaned periodically. French drains collect water along the perimeter of a home and direct it to the sump pump. Interior drain tiles direct water that gets into a drainage system under the floor, which pumps it out. Boilers and furnaces should be elevated to keep from being flooded. 3) Buy the Right Insurance: While home owners in high risk zones must carry flood insurance, it might be wise for others who live near water, whether a creek or an ocean, to do so as well. 4) Act Fast if Water Pours in: Turn off pipes once water starts flowing. Call in a damage restoration company. 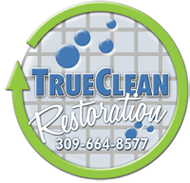 Pros will help stop the flow, remove damaged property, dry the interior, decontaminate to avoid mold, and demolish unsalvageable materials. Prioritize people and pets. If water comes in fast and furiously, get everyone out. Never touch wires that could shock you. Lives matter more than a house and its contents.